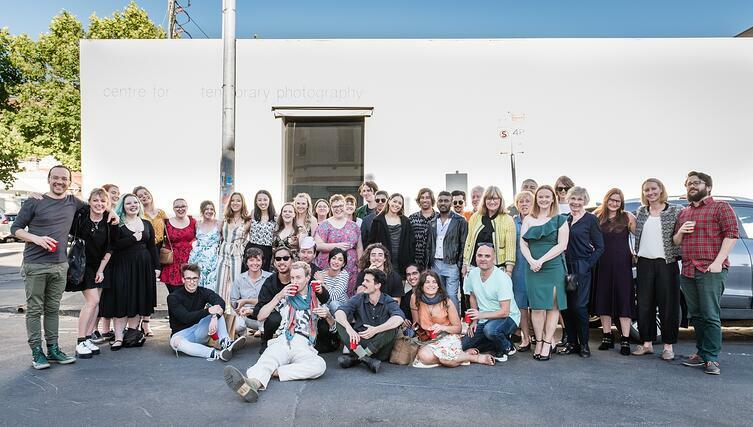 This week saw the special opening of the Faces Of Melbourne Faces of Osaka student, photography exhibition in Osaka and in Melbourne. The exhibition features 20 photographs by PSC students and 20 photographs by students of Shasen (the Japan Institute of Photography and Film) in Osaka, making a total of 40 photographs to celebrate the 40 year alliance of the two sister cities! PSC has been very proud to have taken part in this exhibition and we wish to congratulate the Shasen and PSC students on their wonderful photography. The Melbourne opening at the 'Library at the Dock’ in Docklands was a testimony to the special relationship we have with Shasen, the City of Osaka and the City of Melbourne. 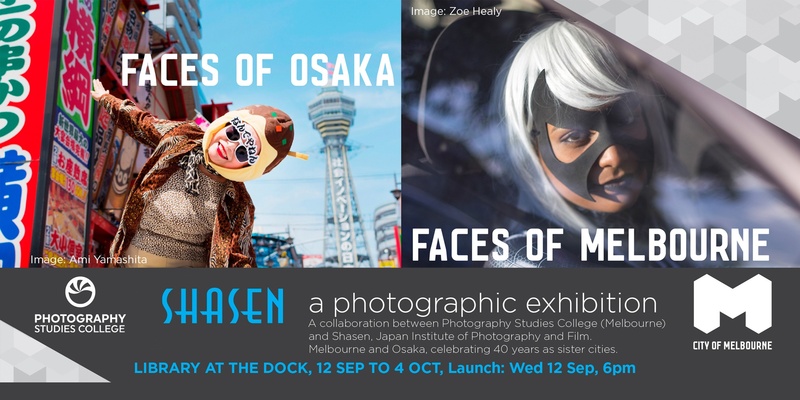 ‘City of Melbourne + City of Osaka, 40 year Sister City celebration photography exhibition opening on 12 September at the Docklands Library Gallery. All welcome’. This exhibition is the outcome of an International multi-faceted joint venture between Melbourne City Council and the Osaka City Government and between the two photography colleges, PSC in Melbourne and Shasen (The Japan Institute of Photography and Film) in Osaka. 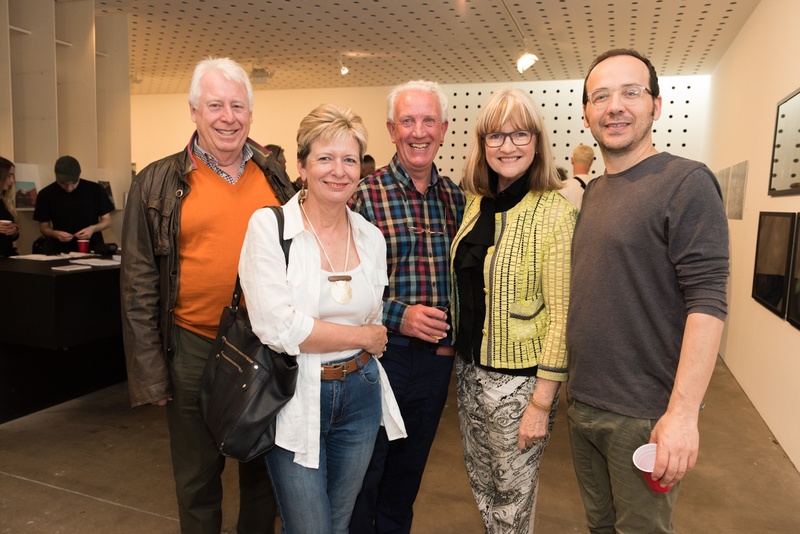 It will run at the Melbourne Docklands City Library Gallery from September 12 until October 4, 2018. 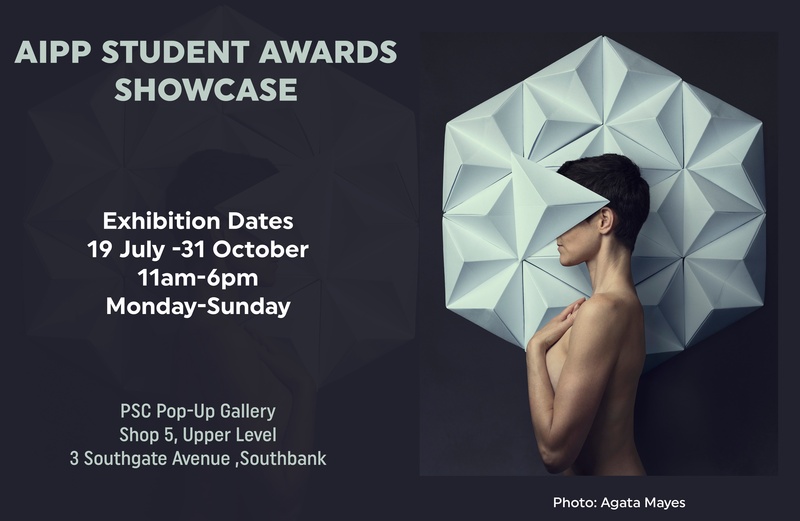 Each year our final year students from the Bachelor Degree and the part time Advanced Diploma take part in the professional photography, industry awards.The work is submitted as matted prints and are judged anonymously. There are 5 experienced judges that hold a Masters Of Photography status from the AIPP or higher. Each image is submitted into a specific category such as Portrait, Landscape, Illustrative, Commercial, Documentary, Family to name a few. Each category has a specific set of rules and regulations. Being a print award, the printing is as important as the image itself, fortunately we have Peter Hadzipavlis our resident print master at the Print Shop@PSC who printed the majority of the awards. Having his expertise is not only an education for the students but a valued and important collaboration between the artist and the printer, which will prove invaluable to all the students moving forward. An example of some of the judging criteria is 'image impact', 'creativity & style', 'composition', 'technical excellence', 'lighting', 'photographic excellence', 'story telling' and more The 5 judges give a score out of 100 and each of the scores are then averaged to a final score. The awarded score range starts from 80, an 80-84 is a silver award, 85-89 a silver with distinction, 90-94 a gold award (these are far and few between) and a 96-100 is a grand Gold with Distinction, a rarity! Tsuka is an exhibition of contemporary Japanese photography and a selection of associated photobooks. The project uses these ‘tsuka’ monuments as the starting point for visual suka is an exhibition of contemporary Japanese photography and a selection of associated photobooks investigations by a selection of artists that work with still and moving photography and the photobook. The artists in this project make both literal and lateral responses to the notion of ‘tsuka’, ultimately addressing the question: is the act of taking, making and exhibiting photographs, a form of ‘tsuka’ in its own right? 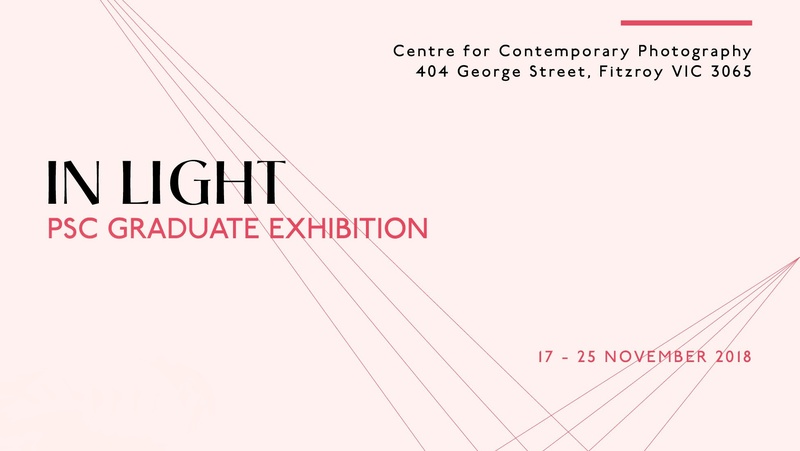 Exciting times for PSC 2017 graduate Sam Forsyth-Gray with the opening of his first solo exhibition at the Perth Centre for Photography on the 31st May 2018. The exhibition titled 'On the Sea Stands a Rock'evolved from Sam's final year folio while undertaking his Bachelor of Photography degree. Sam says of his work "My own photographs respond to found imagery, running throughout the series, creating a varied and experimental flow of works that seek to address and define my interpretation of the photographic object. 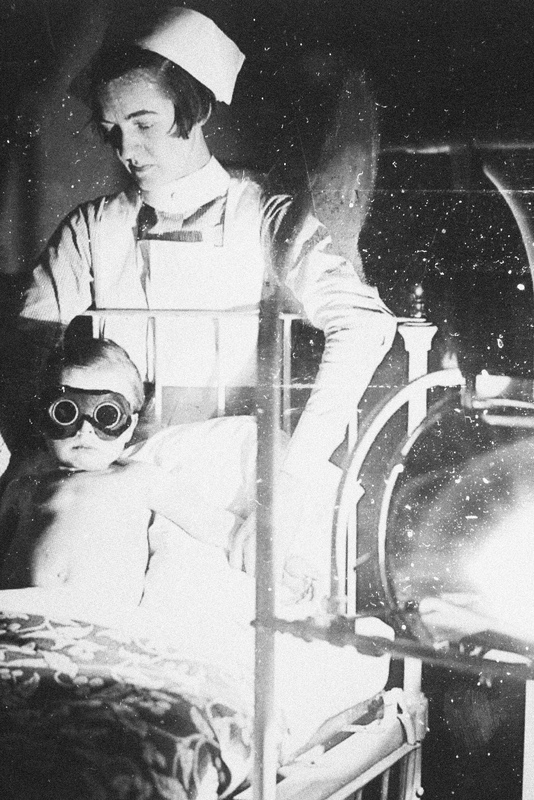 Unravelling stories from these collections has allowed me to not only explore my own family history, but to look at ideas of lost memory and the lack of identity that comes with these abandoned family albums."